After successful study trips to Shanghai, we decided to visit this awesome city again. Bring comfortable shoes, because this year we will be climbing the Yellow Mountains! From left to right: Antti Yang, Christine Tang, Angelina Li, Linda Hu (Head Organizer), Jun Xian Weng. Antti Yang: Hi, my name is Antti Yang and I am the treasurer of CSA. I will make sure this Study Trip is affordable for everyone and your utility function will touch your budget constraint. Christine Tang: I am the secretary of CSA-EUR and I am in charge of the university visits and the marketing of this year’s trip. I will show you the best places of Shanghai and make this trip epic! Angelina Li: I am responsible for the communication with all the companies. They also call me the communicator, not only because of my broad network but also for my endless talking. Linda Hu: I am the head organizer of the Study Trip 2015. My purpose is to give you stability in the dynamic city Shanghai. Jun Xian Weng: I am responsible for all our Chinese contacts and company visits. I will make sure that you get insights on the Chinese business environment and perhaps introduce you to your future employer. The university if established in 1896 by an imperial edict issued by the Guangxu Emperor, the university is renowned as one of the oldest and most prestigious and selective universities in China. At this university we will experience the Chinese Campus Life. Students of the university will give us mandarin classes, teach us Chinese sports and many more. Shanghai is notorious for its extraordinary night life. The most exclusive clubs really illustrates the economic boom that China has been experiencing for years. Drinking bottles of Moet&Chandon as if it is water, dancing with circus figures and tanks with sharks as decoration. Anything can happen in Shanghai! We will take off on March 23, 2015 (Monday) and fly back on Wednesday April 1st (no joke). To participate in our Study Trip 2015, you will need to pay 779 Euro. The total costs per person are higher than 779 Euro. 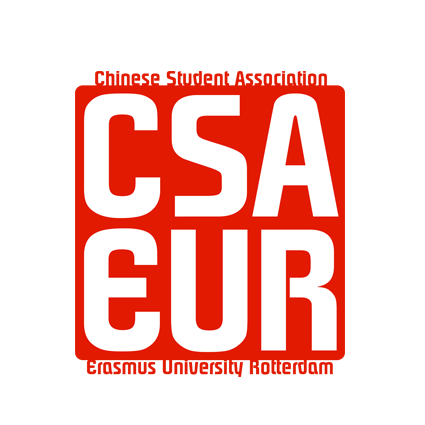 CSA-EUR will cover the rest of the costs by raising funds and receiving sponsorship fee. The 779 Euro will cover your return flight to Shanghai, accommodation in China, trip to the Yellow Mountains, most of the transport costs in China, and some of the group activities costs. You can submit your application from now till January the 25th, 2015. We aim to inform you of our decision as quickly as possible, but you may not receive a decision until the end of the deadline. 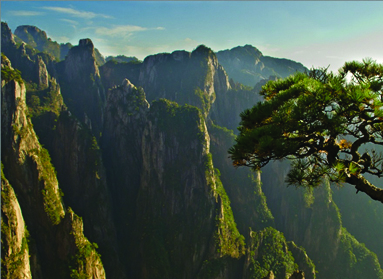 Yellow Mountains also known as Huangshan (黄山) lays in the Southern Anhui province approximately 511 km from Shanghai. We will spend two nights in Tunxi, a village near the mountains. 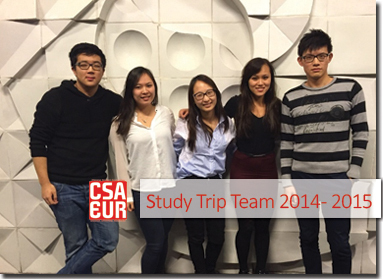 CSA-EUR organizes this trip together with Dragon Adventures China. The Yellow Mountains are an official UNESCO World Heritage Site. During these three days you will experience beautiful sunrises, pine trees, climb peaks, see clouds touching the mountain sides and relax in a natural hot spring. Huawei is the largest telecommunications equipment maker in the world. It has its headquarters in Shenzhen, Guangdong, has R&D centers in over 20 different countries, and employs more than 140,000 people. Huawei is globalizing and expanding its services across the globe. BEE stands for Bisagni Environmental Enterprise. The company has two offices, one in Hong Kong and one in Shanghai. It’s activities include a wide variety of services, ranging from the sustainable materials procurement to sustainable planning and marketing strategies. Nevertheless, all their operations are focused on sustainability, the theme of our Study Trip. Jacco Bouw founded webpower in 1999. During his professional career Jacco has focused on help developing the email marketing industry in the Netherlands and China. At the moment, with more than 2,500 clients worldwide and offices in the Netherlands, Germany, Sweden, Spain and China, Webpower is an international player in smart email marketing and marketing automation solution.